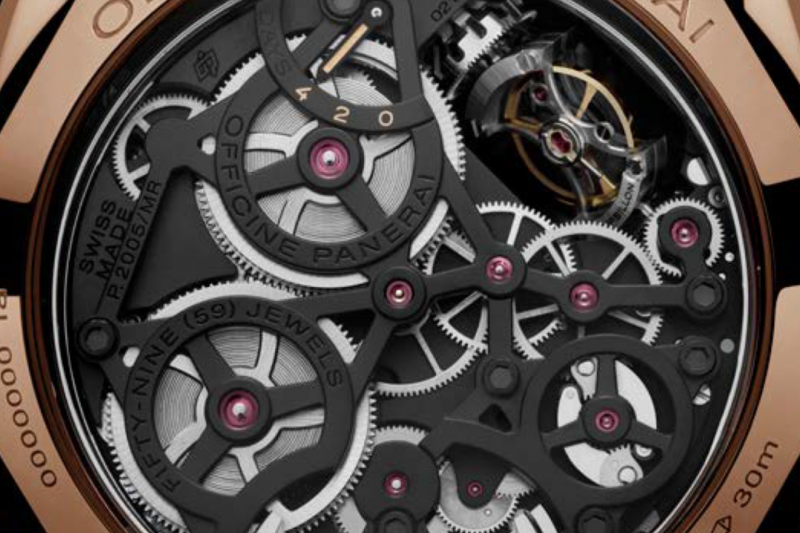 Carillon, which literally means music box, is an elementary way to describe the most complicated watch ever made by the Panerai Manufacture in Neuchâtel. 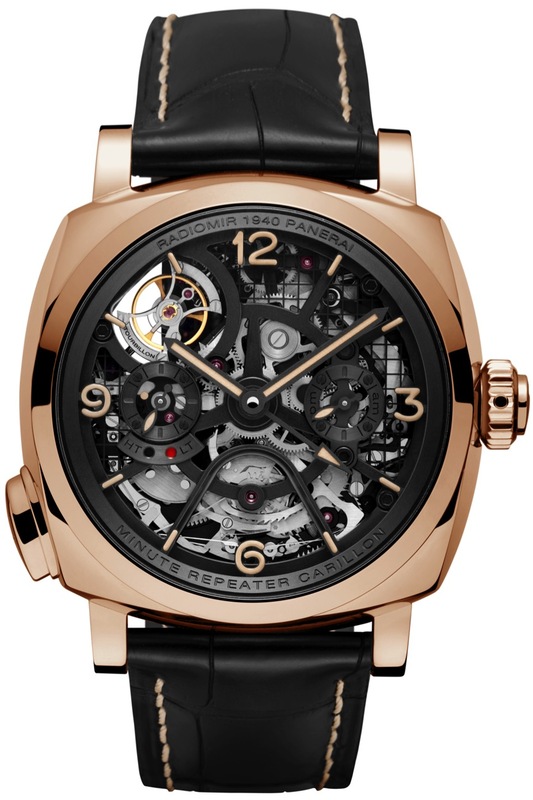 The new Panerai PAM600 Radiomir 1940 Carillon Minute Tourbillon GMT is actually music box on steroids. Officine Panerai manages to marry their historic roots with a masterpiece of complications in this new special edition offering. For years I have had discussion with friends within the horology community and one question was always came up. 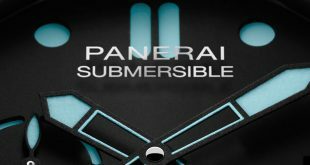 When will Panerai do a minute repeater? While many pessimists wrote off the possibility of it ever happening, Officine Panerai surprised us all with this post SIHH release. For the PAM600 Minute Repeater Carillon Tourbillon GMT, Officine Panerai has developed a brand the new P.2005/MR Manufacture movement. This hand wound skeleton calibre has been fitted with the minute repeater mechanism that stay true to the distinctive technical characteristics, philosophy, and innovated nature of the brand. The chiming is activated by a push piece which is located at 8 o’clock and is carried out by three hammers which strike an equal number of gongs which are fixed to the movement within the case. Sticking to the aforementioned distinctiveness, Officine Panerai went with three hammers instead of the traditional two, enabling three different sounds to be combined to create a beautiful melody. Panerai, being a brand that has always blazed their own path, managed to drum to their own beat with the way the minute repeater chimes. As with traditional pieces, the first gong is the lowest and identifies the hour, while the last and highest pitch identifies the individual minutes. 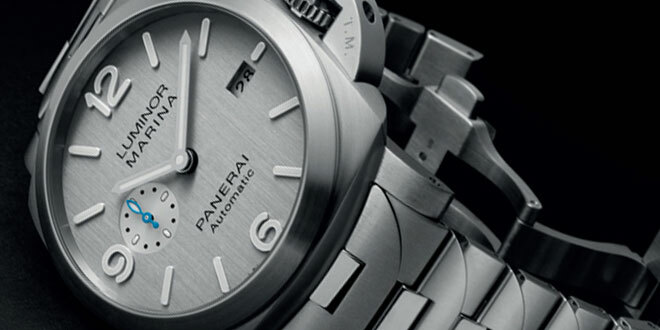 The middle gong is where the Panerai PAM600 changes things in a way that only Panerai can. The middle gong sounds triple chimes of an intermediate note; each triple chime corresponds to ten minute intervals instead of the traditional fifteen. 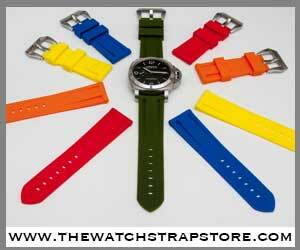 Many might be wondering why a change has been made to such a long standing part of the minute repeater complication. Let’s take a look at this simple example which will shed a little light on how this subtle change goes a long way in telling time quickly from the gongs. In a traditional minute repeater, the time of 10:28 is usually indicated by 10 chimes for the hour, 1 chime for a quarter of an hour, and 13 individual chimes for the minutes (a total of 24 chimes). This same scenario with the PAM600 Carillon minute repeater would go something like this, 10 chimes for the hour, then 2 triple chimes indicating two 10 minute intervals, and finally 8 single chimes (a total of 20 chimes). Utilizing this system of tens reduces the number of chimes, making telling the time based on the notes much easier. To ensure the quality of the sound propagated by the PAM00600, Officine Panerai creates two separate sides of the 1940’s Radiomir case. They then take the two sides and solder them together to create the completed 49mm case. By creating the case with two pieces they are able to create more empty space inside of it optimizing the acoustics and enhancing the quality of the sound. 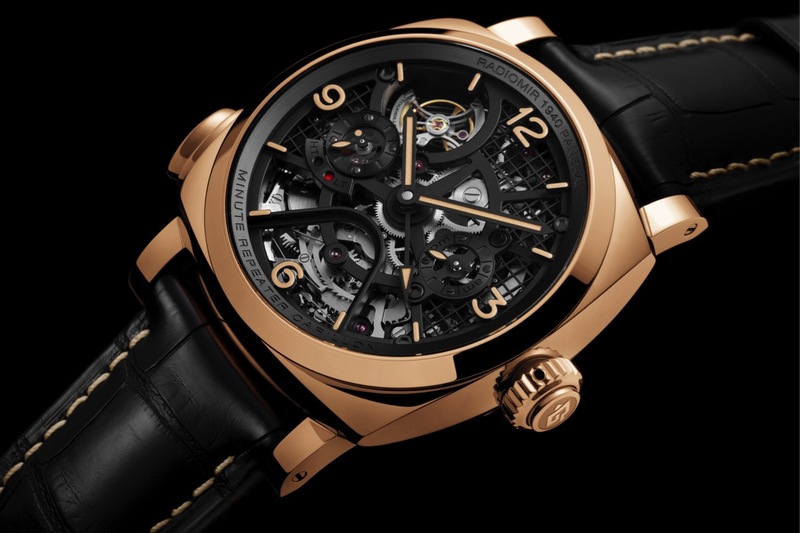 Continuing with the technological advancements of this new movement, the minute repeater’s function can be activated for both local and the second time zone on the GMT. So with a simple adjustment before pushing the minute repeater button, you are activating in essence, a double hour and minute repeating mechanism. 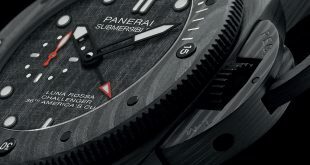 You will notice a red indicator under the sub second dial which can be selected to indicate the time you would like the minute repeater to chime out. To avoid accidental activation, the Carillon can be operated by the push-piece only when the winding crown is rotated slightly. You will notice in the pictures that there is a small black indicator that is placed on the side of the crown: when the indicator can be seen from the front, the Carillon cannot be sounded. Understandingly, the minute repeater complication might be the star of this PAM600, but lets not forget the P.2005/MR movement which is a result of two years of research and development and features a patented Tourbillon Regulator. You are able to witness the amazing movement of the tourbillon movement from either the front or the back of the skeletonized case. 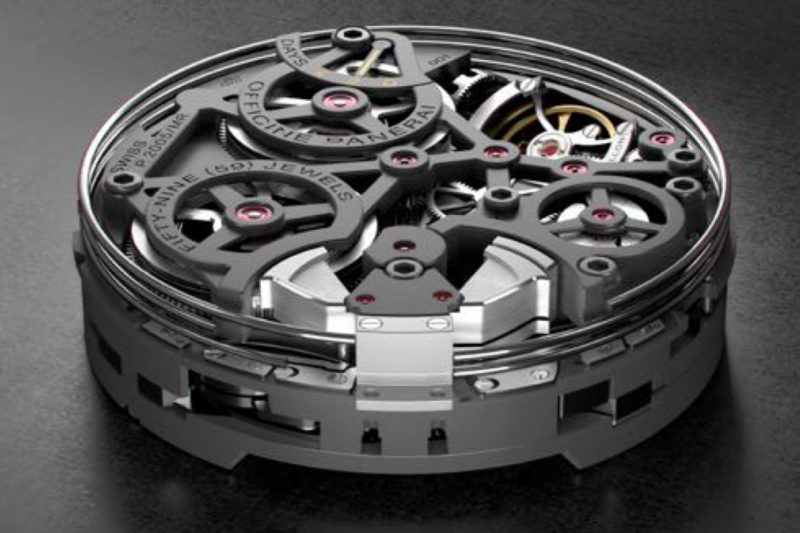 The patented tourbillon system is difference from a classic tourbillon in which the cage rotates continuously on itself. 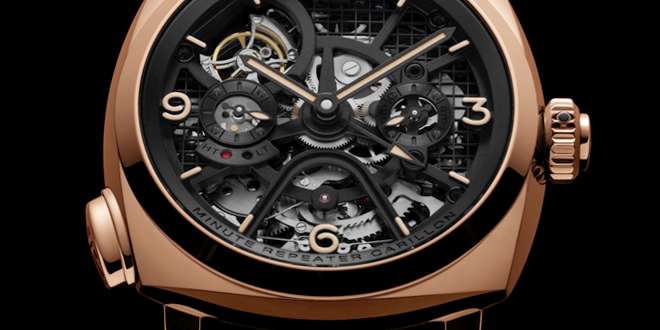 In the Officine Panerai mechanism, the tourbillon cage rotates on an axis which is perpendicular, not parallel, to that of the balance. Also the cage rotates once every 30 seconds instead of the 1 minute you are used to in traditional tourbillon movements and is indicator by the small dot rotating around the sub seconds dial at the 9 o’clock position. Accentuating the dial even further, you can see the words “Radiomir 1940 Panerai” etched into the flange at the 12 o’clock position and “Minute Repeater Carillon” is at the 6 o’clock position. Turning the watch over displays more of the skeletonized beauty of the movement with a power reserve indicator which lasts for four days and the little hammers that are at the core of the beautiful chiming of the PAM600 Tourbillon GMT Minute Repeater. The PAM600 49mm Radiomir 1940 Minute repeater is a special edition and will only be available as a made to order piece. 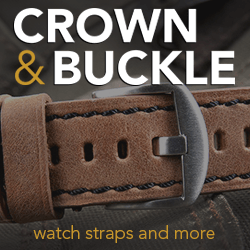 Because each one of these will have to be ordered directly at the boutique, you have a possibility of a number of customization, which includes the strap, the hands, and the even the case material if you are not a fan of the Red Gold. 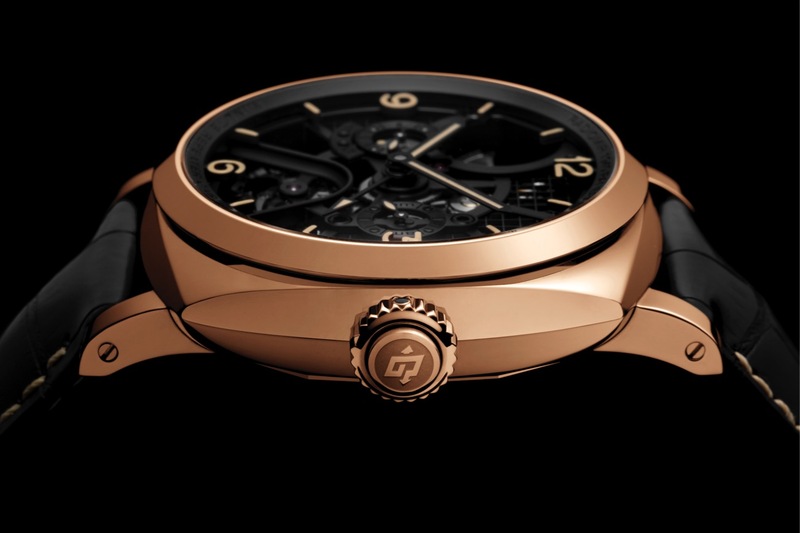 The last time Officine Panerai offered a customizable piece it was the on PAM365 Tourbillon Equation of Time. The boutiques will start taking orders on this piece as early as April 30th. Pricing for Panerai PAM600 has not been announced in USD, but as pictured it will run you roughly 359,000 Euro. Pricing will indeed fluctuate depending on the different customizations the buyer will be able choose. 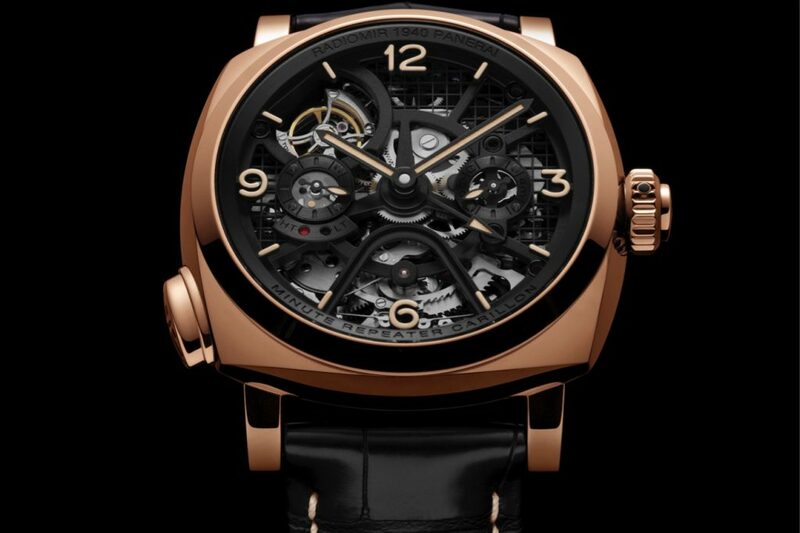 Ultimately, the Minute Repeater Carillon is for the major collector given it’s price point but as horology lover, it’s great to see Panerai step out of what people might consider the norm for the brand and bring another level of innovation to the brand. 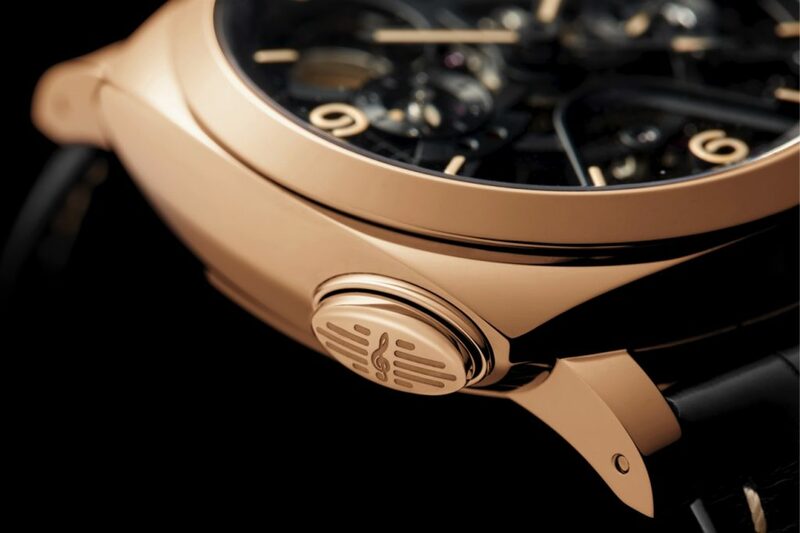 It is evident that Officine Panerai is taking a step in the right direction and creating some of their own advancements in the watch making world without compromising the history of the brand. 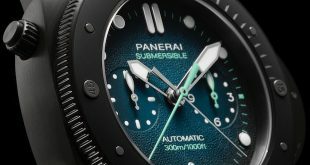 We know these complications and advances in their movements are a result of years worth of research and development so it is only a matter of time that we will see more come through the pipeline from a brand that was originally only known for their historic utilitarian diving watches. If this is a sneak peak of things to come, then we are in for a real treat moving forward. MOVEMENT: Hand-wound mechanical, P.2005/MR calibre, executed entirely by Panerai. FUNCTIONS: Hours, minutes, small seconds, GMT 12/24 h, power reserve indicator on the back, local time and home time Minute Repeater for hours, 10 minutes and minutes, tourbillon. CASE: 49 mm, 18ct. polished red gold. 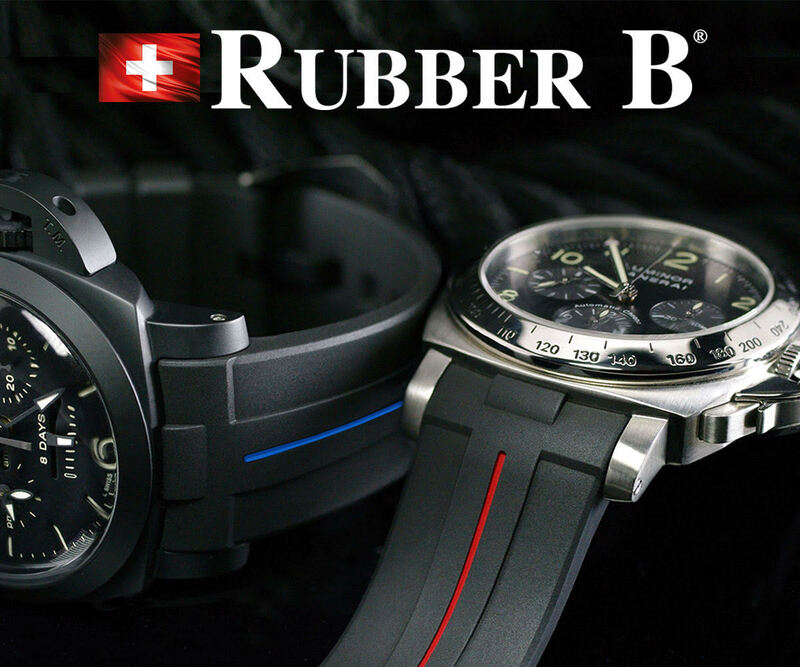 WATERRESISTANCE: 3 bar (~30 metres).